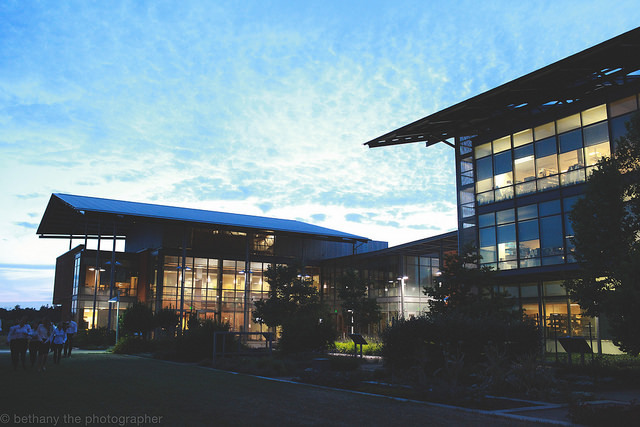 Ed and I attended the 16th annual Winkler Dinner last Saturday, at the Robert Mondavi Institute for Food and Wine, at UC Davis. 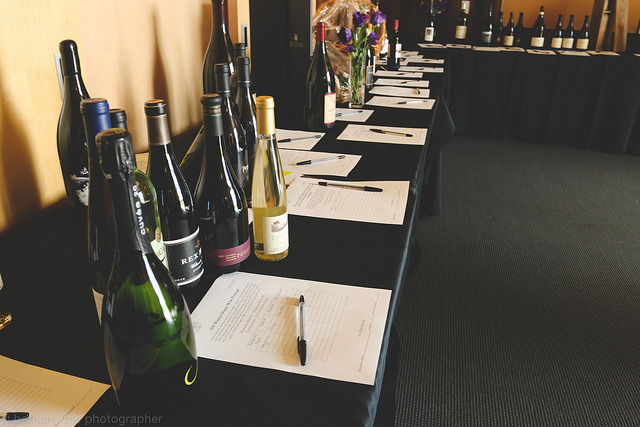 It was put on by DEVO, the student-run organization of the UC Davis Viticulture and Enology Department, as a fundraiser to award scholarships for international internships and to sponsor group exursions to study wine regions throughout the world. Last year's recipients went to New Zealand and South Africa, and this year's chose to go to Alscase and France. 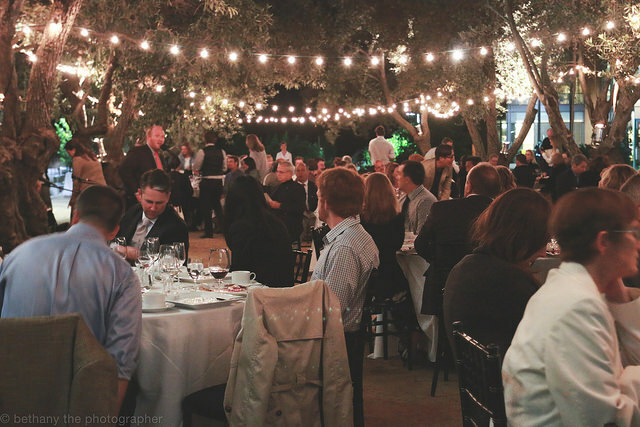 The delicious dinner, held in a lovely olive grove, was prepared by individual chefs paired with wines donated by alumni of the UC Davis Viticulture and Enology Program. It was inspirational to see the graduates of the program talk about how it led to their current success as winemakers.The dinner was preceded by a silent auction, mostly of donated wines, and followed by a live auction of exciting trips. Through the silent auction, Ed and I scored a magnum of Williams Selyem 2014 Pinot Noir from the Russian River Valley and a tour and tasting for four at the WS estate, with immediate membership on the WS list with an allocation for the next release. Will put that bottle down and then look forward to having a dinner party to break open that good bottle. On Saturday afternoon, April 30, my good friend Rita Burris and I toured 5 homes, which were part of Kitchens in the Vineyards, a benefit to support the 22nd annual Music in the Vineyards, a chamber music festival in Napa Valley. For 4 weeks from July 29-August 21, 17 concerts will be held at various picturesque wineries throughout the Valley, such as Domaine Carneros and Beringer Vineyards. And through Kitchens in the Vineyards, Rita and I got to tour picturesque homes in Napa, Yountville and St. Helena. Spotlighted were the kitchens and gardens; however, we were able to tour the rest of these homes, which were cleverly and uniquely designed. 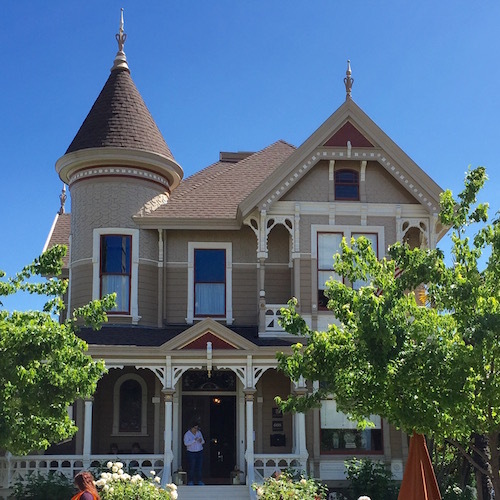 Probably the most unique home was the Ackerman Heritage House, an 1888 Queen Anne Victorian in downtown Napa, which was authentically restored to reflect its past grandeur. From its 14 original stained glass windows, elaborate woodwork and antique lighting and furniture throughout, every inch of the home amazed the visitor for its attention to detail and authenticity. Inside, there was also a library and outside an English garden replete with a 19th Century fountain and urns. Restorations are very complicated, but adding to the efforts to restore the structure to its original opulent state, was the 2014 earthquake in South Napa, which caused considerable damage to the structure. However, Lauren Ackerman, the current homeowner, was not to be stopped in her mission to bring this home back to its original perfection. 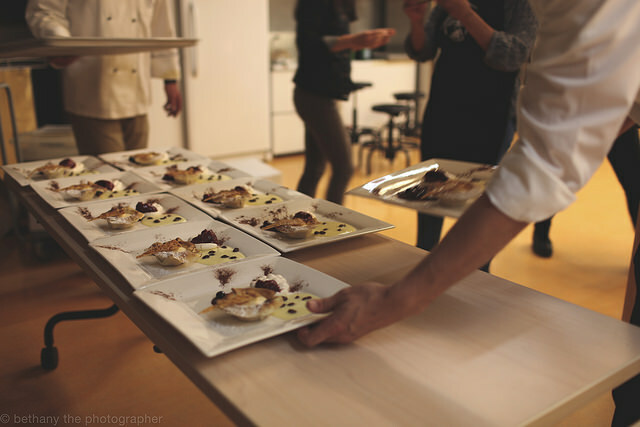 Renouned Napa Valley chefs provided small bites at each home. Among my favorites were the cucumber gazpacho, courtesy of Rogello Garcia of Angele, Napa; the cheese puffs, courtesy of Ken Frank, La Toque, Napa; and strawberry shortcake, courtesy of Bob Hurley, Hurley's, Yountville. Yummy. On April 29, Ed and I participated in a colossal dinner party at Vineyard 29, located at 2929 Highway 29. Boy, that's a lot of 29's, for an event that was a super 100. Ann and Chuck McMinn, proprietors of Vineyard 29, generously hosted the party for guests who previously made donations to attend this Vineyard 29 dinner at a St. Helena Hospital Foundation gala. (That gala raised a wopping $2 million for St. Helena Hospital's Napa Valley Breast Health Center.) Chuck is also the Director Emeritus of the Foundation. The McMinn's are intrumental in fundraising for other Napa Valley causes, such as the Napa Valley Vine Trail, a 47-mile walking and biking trail, that will eventually extend from Vallejo to Calistoga. After a nice reception on the terrace, we passed a stunning Chihuly glass sculpture illuminated by candles on our way to the cave wine library for dinner. Among the interesting guests at our table was Jim Parent, the outgoing President and CEO of the St. Helena Hospital Foundation, as well as Kathleen Patterson, President of Central Valley Builders Supply, who is also on the Board of the St. Helena Hospital Foundation. The dinner, presented by Executive Chef Ken Frank, of La Toque in Napa, was exquisite and healthy--even the decadent dessert of Gateau Concorde au Cholat; you know chocolate is healthy :-) The courses were paired with wonderful Vineyard 29 wines as well as Dalla Valle Maya and Araujo Estate. It's gratifying to know we are able to have a wonderful experience and support a good cause at the same time. We were so sure of this that we came out for the Volley in the Valley Tennis tournament on the very next Sunday and Monday--again to support the St. Helena Hospital Foundation.